This book is FANTASTIC. Maud, an 89-year-old lady who lives in a big apartment that everyone but herself believes she doesn't deserve, takes justice in her surprisingly capable hands. You might think that the worst an elderly lady could do would be putting a bit of arsenic in her guests' coffee... but you haven't met Maud yet. (This is probably for the better.) Hilarious, enchanting, and to use that awful word – unputdownable! If you're on the verge between buying and not buying it – do it, and you won't regret. 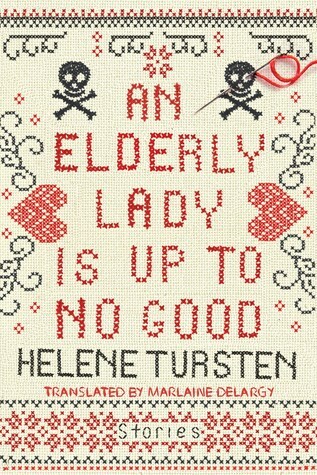 Sign into Goodreads to see if any of your friends have read An Elderly Lady is Up to No Good.